Luckily I found two apps that make this a lot easier and also provide some interesting additional information. Enter Sol and Sunrise. Both are sunrise/sunset calculators for the iOS, with a few small differences. Sol is currently $3.99 at the App Store, but it does offer quite a bit more information than Sunrise. My favorite feature overall is that it gives you an estimate of when the Golde Hour will be for each day. This is especially useful for us photographers who love shooting during this time. Additionally, you can set alarms to remind you of specific times, such as the sunrise, and browse through a glossary of all of the interesting terms displayed through the app. Rise is another great app with a simplistic interface, and it is currently free with some in app purchases. If you're only intersted in the time of the sunrise or sunset for a particular date, this app will work well for you. However, it does offer the ability to add notifications and weather at an additional cost. Overall, a clean and great looking interface. 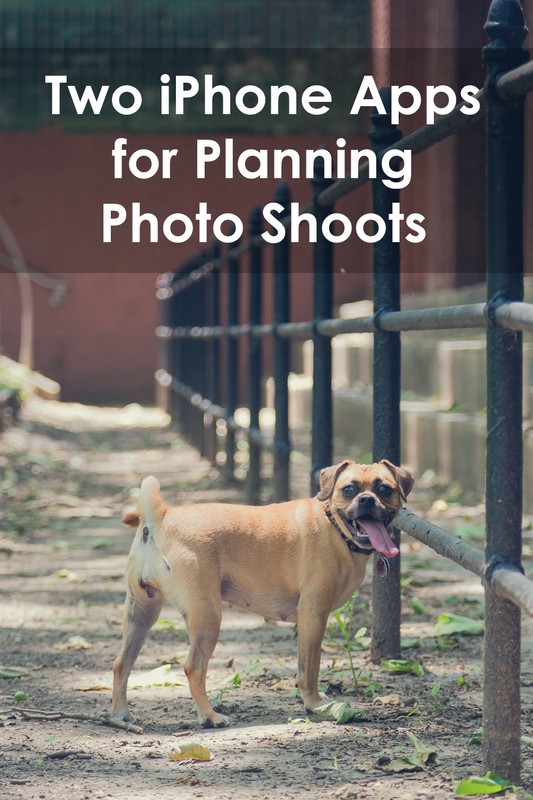 Are there any apps that help you plan your shoots? Let me know in the comments.